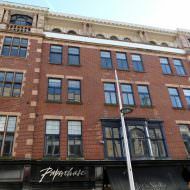 A five storey red brick building built in 1902 for Wright & Hunter Ltd who continued to occupy until c1930 when the building was purchased by Brumor Ltd. Brumor Ltd appointed Samuel Stevenson & Sons to redevelop the building between 1932 – 1933. 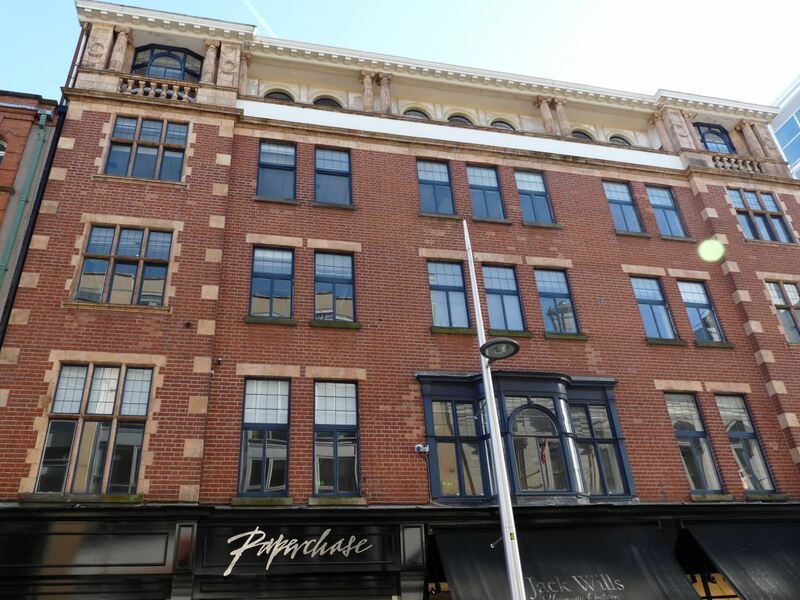 The works involved the subdivision of the ground floor showroom into four retail units and the conversion of the upper floors to office use. Art deco shop fronts were installed at ground floor along with an ornate entrance porch. All were removed 1984 – 1985 when Brumor Ltd appointed Building Design Partnership to redevelop / refurbish the building and extend to the rear along Arthur Place. The two ground floor retail units are occupied by Paperchase (opened 2010) and Jack Willis (opened October 2011). Eastwood Holdings commenced refurbishment of the upper four floors of office accommodation during early 2017. Completion of works, including a refurbished entrance from Arthur Place (LA04/2017/0761/F, designed by InsideOut Architects), is due by end of summer 2017.